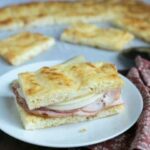 A no carb bread is almost impossible to make. 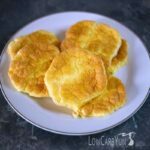 But, this low carb pork rind keto bread comes pretty close to being zero carb. 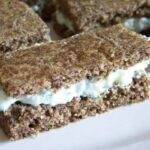 I was on a quest to find another low carb bread recipe that didn’t taste like eggs but would be super low in carbs. And, I was looking for something made with every day ingredients. 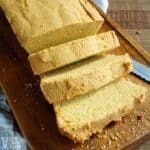 There’s a ton of recipes out there like cloud bread and Soul bread which are very close to being the ideal no carb bread. But, one is a bit eggy and the other requires expensive whey protein. After seeing a comment about pork rind bread on a Facebook post, I decided to give it a try. 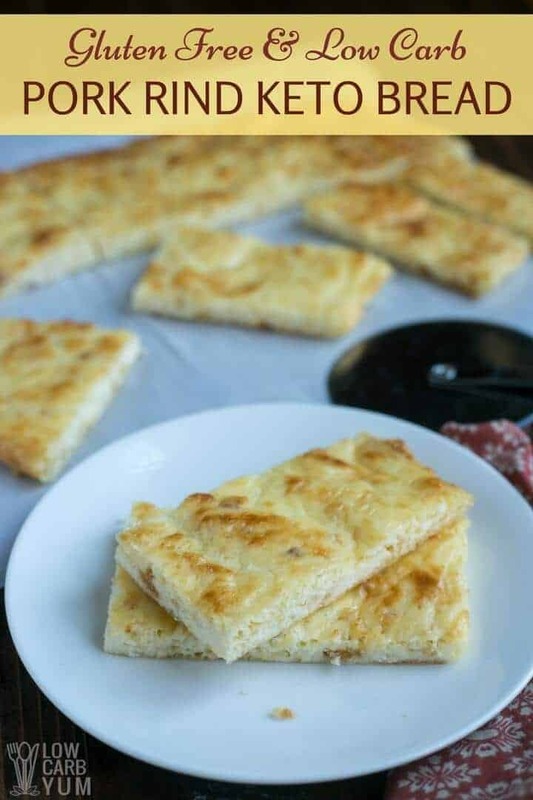 Unfortunately, I couldn’t find a good recipe for it so I developed my own keto bread recipe using crushed pork rinds. 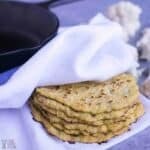 The recipes I did see find were all flat breads so I made it that way as well. It may work in a loaf pan, but I haven’t tested it that way yet. 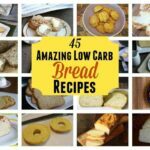 You can never have enough low carb bread recipes and all my other ones are based on almond flour, coconut flour, or eggs. So, it’s nice to have another option for bread on a restricted carb eating plan. My first attempt was made with all mozzarella cheese and it was pretty dense and tasted like fried cheese. So, I added in a block of cream cheese to lighten things up. The method used is very similar to a Fat Head dough. 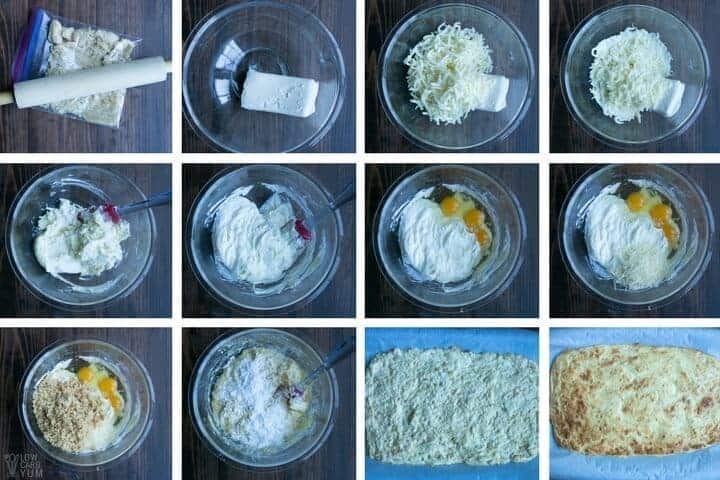 The mozzarella and cream cheese are melted together first and then the eggs and flour are added. Although I was aiming for a nearly no carb bread, this pork rind ketogenic bread does have about 2 grams of total carbs per slice. The carbs are from the cheese and eggs. It’s pretty much impossible to make a true zero carb bread. You can come close. But with recipes needing cheese and eggs, it’s difficult to do. There is a small amount of sugar in the bread which comes from the lactose in the cheese. It could be reduced by cutting back on the cheese. However, flavor and texture wouldn’t be as good. Since this is my first attempt at a pork rind based keto bread, I’d like to experiment with the recipe a bit more. I can see this being used as a base for a low carb pizza crust and bagels. 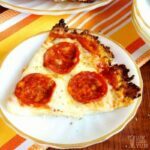 I’ll try it as a low carb white pizza as I prefer the white sauce over tomato based sauces. And, bacon and spinach are my favorite toppings on white pizza. 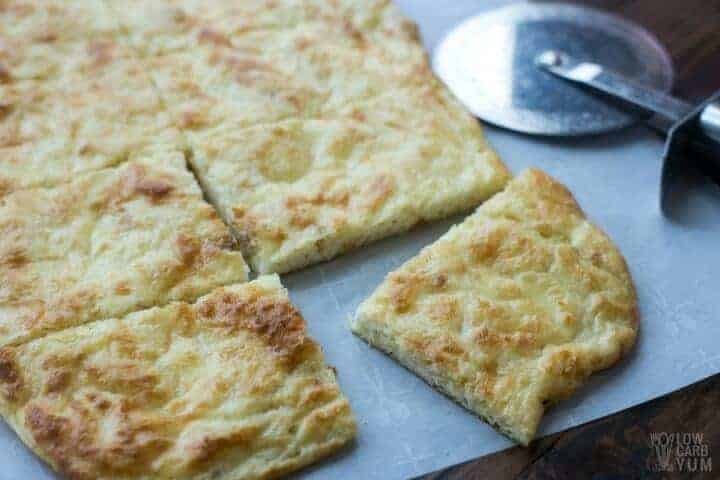 One slice of this nearly no carb bread recipe is super filling. I tried making a sandwich with two slices and could only eat a few bites. So for sandwiches, I recommend using only one slice cut in half. You may be wondering if there’s a strong pork taste. I didn’t think so. And, if you use crushed pork rinds that have been stored in the freezer, it does eliminate most of the pork flavor. Although I didn’t use any, you can add in some herbs and spices to enhance the flavor of the bread. And, those would help cover up any pork taste. I would think that the salt free garlic and herb would make this taste great. I love to use that spice for a lot of things. So next time I make this, I’ll give it a try. 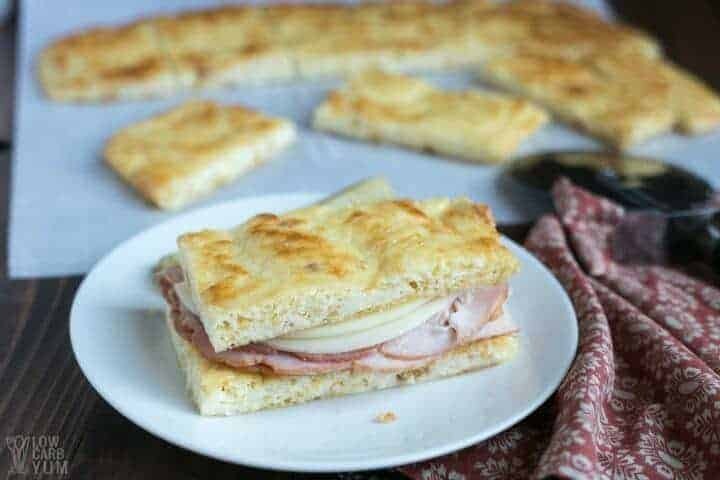 Since this is a flat keto bread, it’s perfect for making a panini. Just keep the slices small or try to cut each into two thinner slices. It’s pretty sturdy and thick enough to cut through the center. 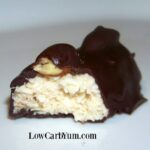 I’m also thinking to try baking this in a thinner version for wraps. I just want to make sure the recipe doesn’t depend on too many eggs so there’s no eggy taste. 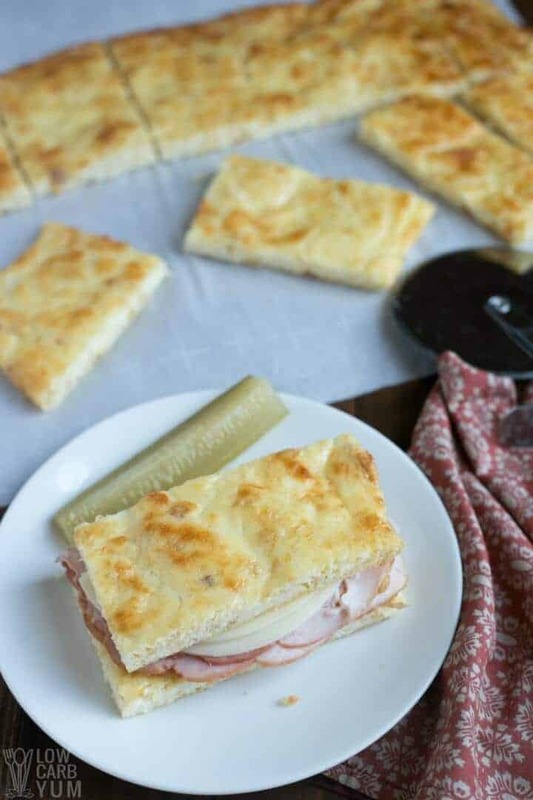 I’m also thinking of trying a ham and cheese melt or a grilled cheese sandwich using this keto bread. It would also be a good base for a brushetta appetizer. Pork rinds are the best ingredient to use for a zero carb bread since there’s no carbs in them. 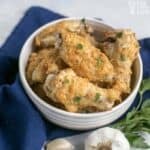 You can pretty much use them crushed as a flour substitute. I’d like to try them in a sweet recipe too. I’m just not sure what kind of recipe to test them in first. Maybe a sweet cinnamon cereal? My daughter loves cinnamon toast crunch so I’d love to find a low carb substitute for that. I just won’t tell anyone there’s pork rinds in it to see if they notice. 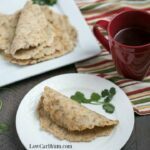 Have you tried using crushed pork rinds for making low carb bread? If so, how has it worked out for you? 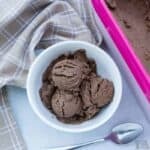 So you prefer it over almond or coconut flour based recipes?